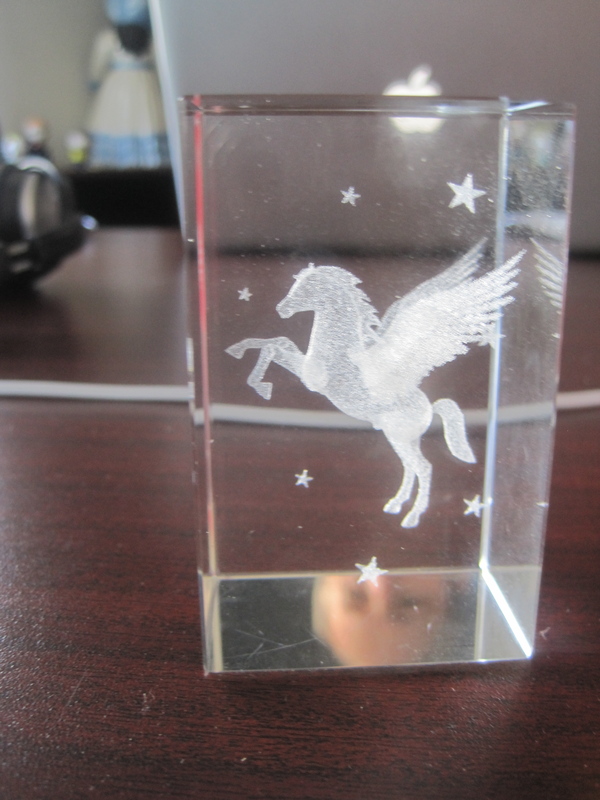 Joseph Mallozzi's Weblog: August 11, 2010: Production update! Another hint at what’s to come in season two! Carl’s new office! August 11, 2010: Production update! Another hint at what’s to come in season two! Carl’s new office! Holy smokes! It’s taken us a day and a half to watch the Day 1 mix of Trial and Error – and we’re still not done! Had our sit-down with the Art and Construction departments today about the new late season set we’ll be discovering in my episode, The Hunt. We talked playback, atmosphere, functionality, and numbers – some of which will play in episode 16, most of which will very late in the season. 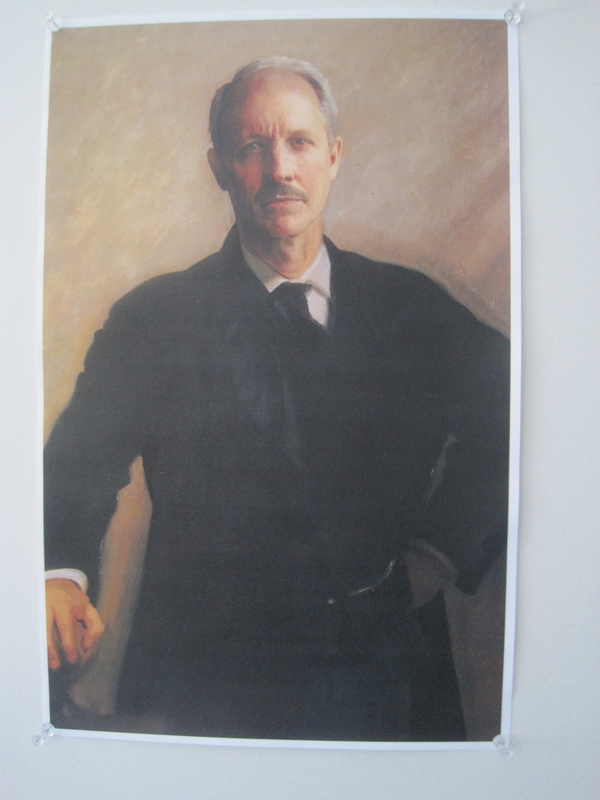 A photocopy of a portrait of his Great Uncle Heinrich Von Binder who Paul claims was the Prussian Minister of the Interior to Bismarck. 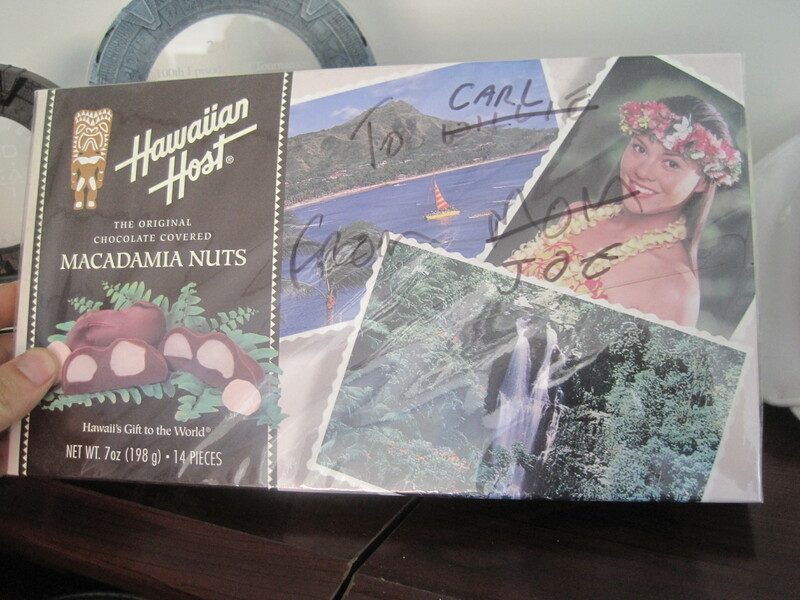 The chocolate-covered macadamia nuts I gave him as a welcome to Stargate gift. Six years ago. 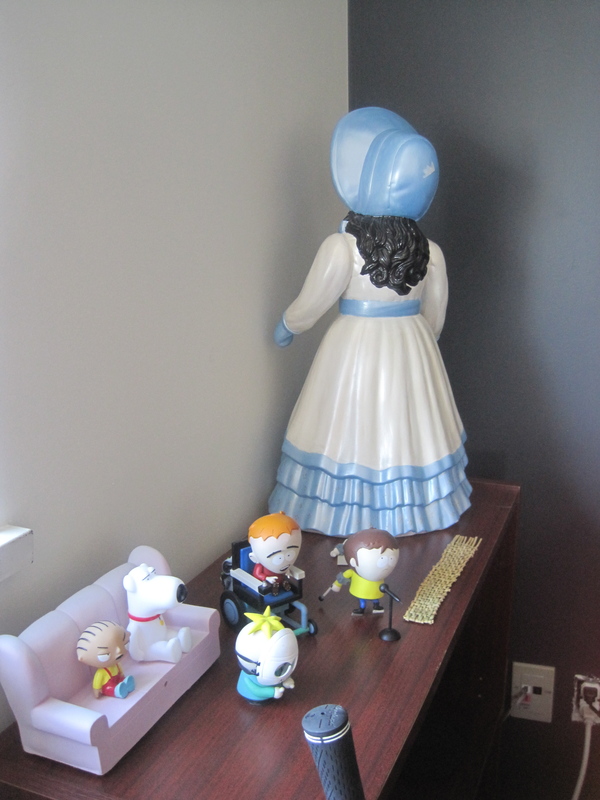 Family Guy figures? Check. South Park figures? Check. Backfacing creepy doll? Check. Guess the Stargate episode for a chance to win an envelope of Carl's mustache trimmings! Signed photo of Golden Boy Martin Gero. 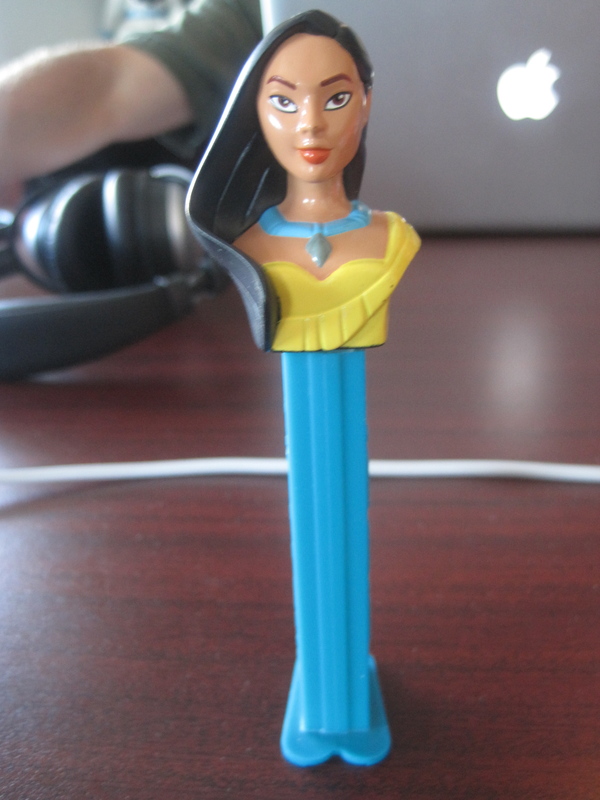 Pocahontas Pez dispenser. Did you now that Carl Binder co-wrote Pocahontas? He's only mentioned it about a million times. Framed picture of Carl and his favorite gal - Jelly. 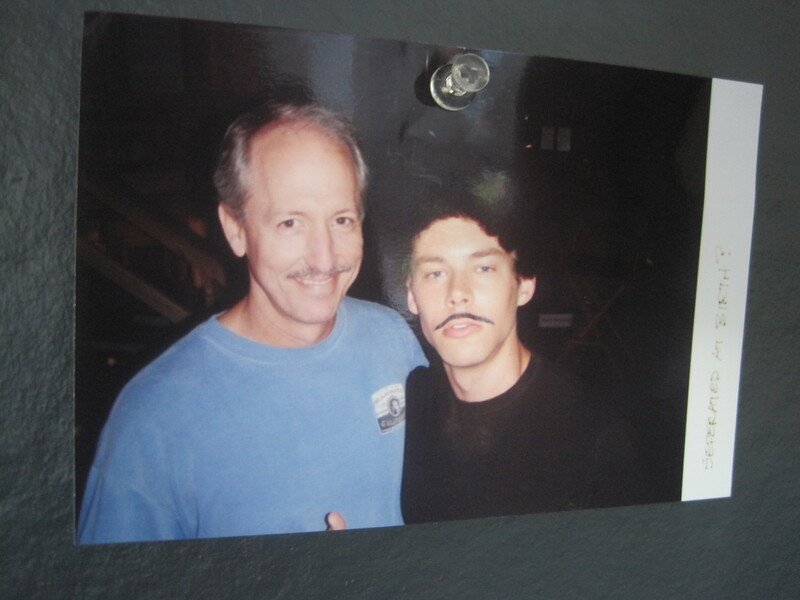 Photo of Carl and some mustached stranger. All settled in and hard at work. Previous Article August 10, 2010: Birthday celebrations kick off! 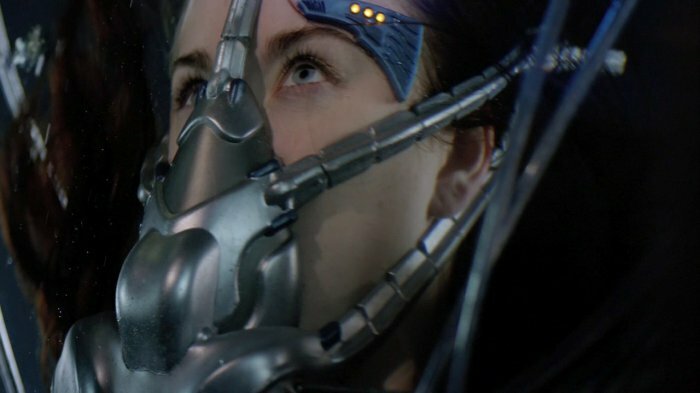 A cryptic SGU season 2 clue! John G. Lenic’s culinary show and tell! Next Article August 12, 2010: Some production updates! Some news of note! Some mailbag! Was it a natural gift ? Have they decided not to make the ascent given their convictions ? Thanks for the pictures, Joe. It looks like an interesting day. I’m not good with disguises, but is the mustached stranger Brian Smith?? My great-great grandmother was a lady in waiting to the queen of Prussia (dunno which one), and my great-great grandfather was the gardener. I guess that means Carl and I are related!! I think I’ma gonna hit him up for some cash. Where to begin??? That memory stick is sooooooo wrong on so many levels… On that note: thanks for making me laugh! 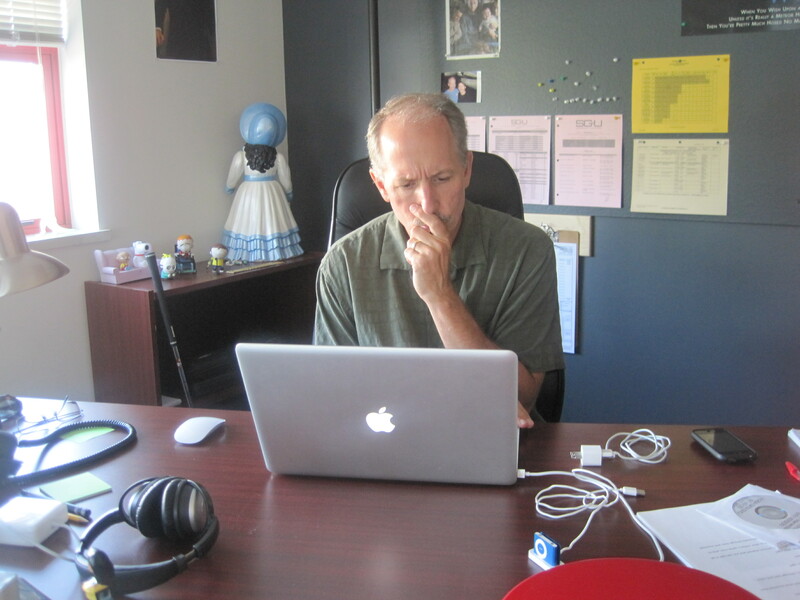 And that picture of Carl w/ Jelly… By the way: how has she been doing? I hope her joints are getting better. Give Jelly a big hug for us. Congratulations to Carl on his new office! 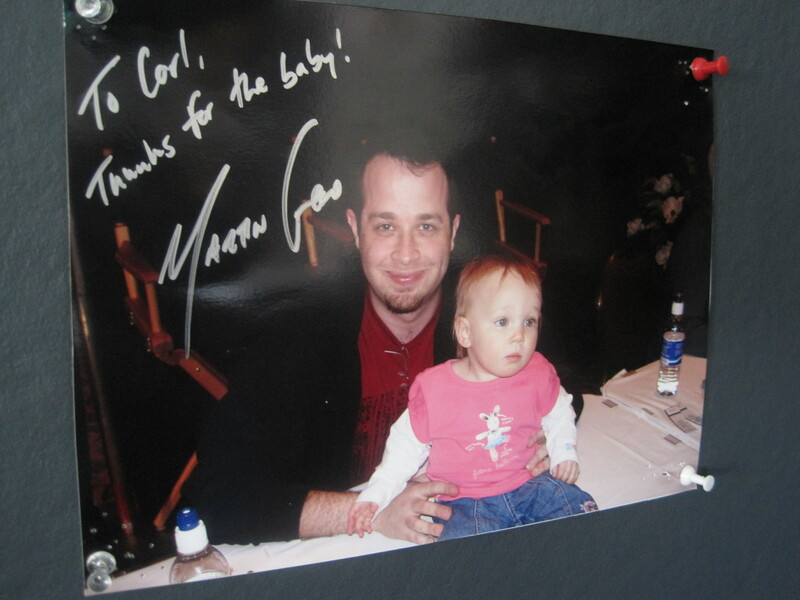 “To Carl, thanks for the baby”?!? Oh no you don’t, this requires explanation. I’d be more interested to know if he has any mementos from that one episode of Punky Brewster he wrote all those many years ago. So, how did Carl beat you out of Rob’s old digs? At the least, your “stuff” is cooler than his stuff. Love all the pictures. And thanks for posting early enough for me to look over the blog before bedtime. Well I must say I’m a big fan of anything made by Hawaiian Host. Their stuff is so perfectly late-’70s / early-’80s and it’s just all full of warm & fuzzies. What I’m saying is, if Carl doesn’t want them, send them to me! Is the statue of Greedo left behind by Rob still in Carl’s office? 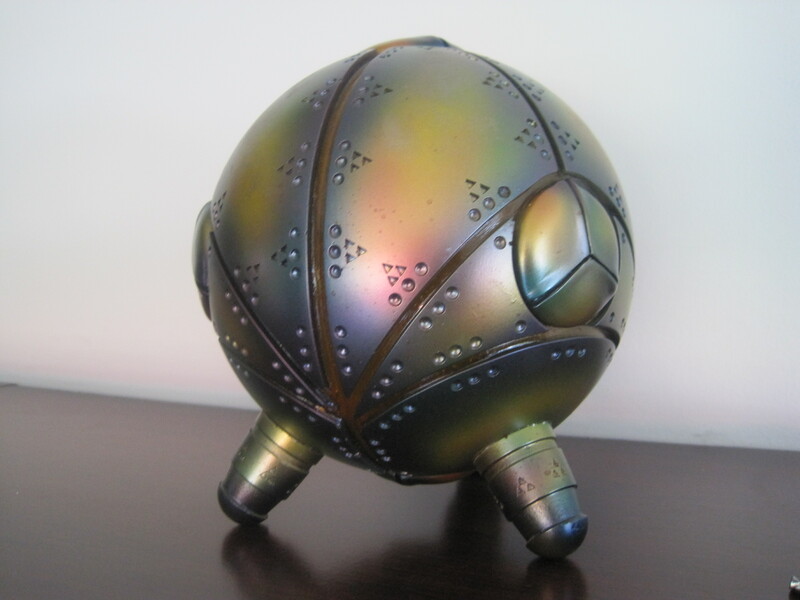 That’s the thingy from “Message in a Bottle,” I believe. And I didn’t have to peek at the previous answers to get it! @Das We ended up eating cheesesteak (sp?)! I took for you a very special sideways (as only I can take them) picture of the Liberty Bell (w/ bonus Independence Hall! ): http://twitpic.com/2dvy4v Enjoy! Great Show-n-Tell. Carl is always one of my favorites. So, Stargate splurged for a new office for Carl Birthday. How nice. Does he have a couch? or maybe chairs? Hence my attempt at a dirty joke earlier. Joe, after the way today went, I needed a good laugh. Thanks. Wait a minute: that thing is not a storage device?!?!? That kills my dirty joke. The doll? Creeeeepy, yes. Kill it! Kill It With Fire! You still have the pic of you and Jelly that I sent you Joe for your his birthday! 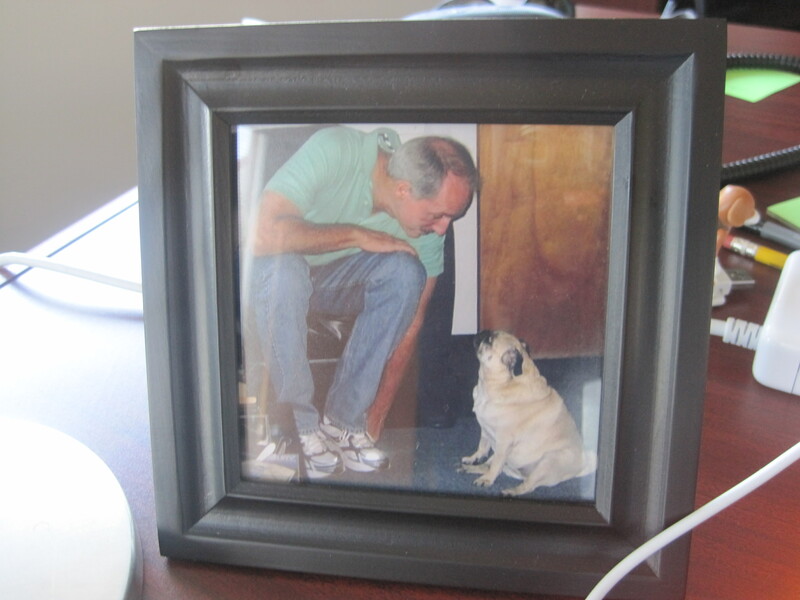 It is a sweet picture, and we know you love Jelly, so if someone else has it on their desk, who better than Jelly’s godfather? So Carl, speaking of Pocahontas and animated movies, did you see Toy Story 3? I’m a big Pixar fan, but was totally unprepared for the perfect roller coaster ride of emotions — loss, conflict, new horizons, hope, campy humor w/ Barbie & Ken, villainy, and fear. The Pixar people are terrific with plot and character, but this was flawless storytelling. The writers took their heroes to a place we thought they’d never go, and it was so real it moved a couple of us to tears. Why it worked? They took us the audience to this pivotal point–if you’ve seen it you know which one–and they did not rush the moment. We were allowed to feel it at the same time as the characters, and completely forget that this was just a story. Gulp! It was so huge that comic relief was called for, and boy did they deliver. Another twist from out of the blue hit the mark, and they didn’t speed by it, but fully explored it. The theater bubbled with laughter. The experience was like revisitng memorable themes from old classic movies–done in a totally Pixar way. I have to get this one on DVD. Rarely am I this psyched about a movie a month after seeing it. To anyone who hasn’t seen it, GO. Even if you’re not an animation fan, go for the *story. * And treat yourself to seeing it on a big screen, uninterrupted. I wouldn’t open the box of chocolate covered macadamia nuts, they’ve probably sprouted and it’ll be like the day of the triffids inside. Wait a minute, six YEARS? 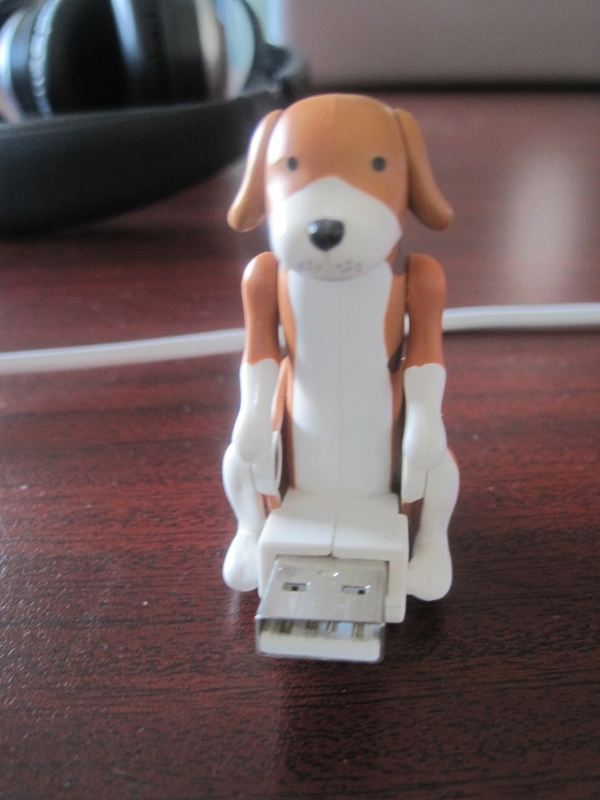 I have no words for the dog/USB thing. And creep doll? Why does he keep the thing if it creeps him out? Pocahontas pez dispenser? They made these for the movie? We only have Star Wars ones. I’m with RebeccaH and the explanation of Martin’s signed picture. We need the facts. Should say creepy doll. That’s what I get for typing at midnight. Congrats to Carl on his new office. Cute picture with Jelly. Message in a Bottle. Go Ducks! Forgive me, please, if I posted this before. My knee surgery is scheduled for August 18, next Wed.